Teddy Thomas came off injured for Racing 92 in its Top 14 win over Toulon just days ahead of France's Six Nations squad being announced. Wing Thomas had already been out for five weeks with a thigh injury suffered during the November internationals. 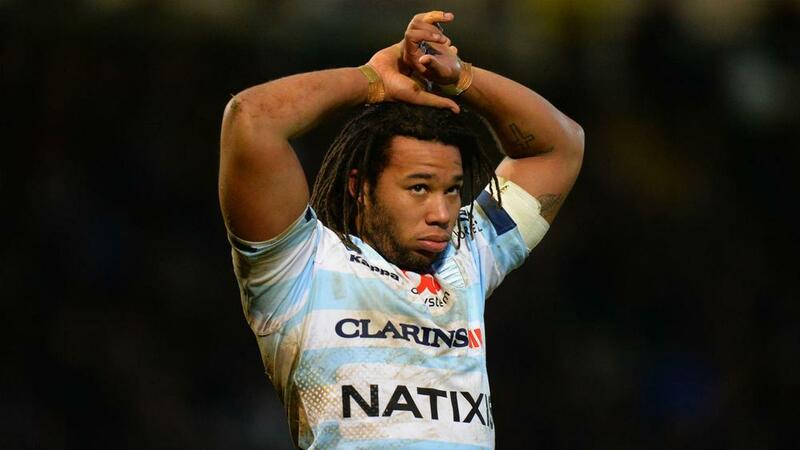 He made his return and dotted down in the 26th minute as Racing overcame Toulon 22-13, but had to leave the field four minutes later. Thomas, who scored three tries in last season's Six Nations, was visibly upset upon returning to the changing room. France coach Jacques Brunel will name his squad for this year's tournament on Thursday (AEDT). Meanwhile, Yoann Huget was the hero for Toulouse as it was made to work hard to beat struggling Agen 27-20 away from home and at least temporarily move to the top. Having hammered Toulon 39-0 last time out, Toulouse was expected to make light work of the league's second-bottom club. Despite tries from Maxime Medard and Rynhardt Elstadt, the lead was only 15-13 at the break and, although Arthur Bonneval extended it to 20-13 six minutes after the interval, the impressive Jake McIntyre converted his own try to level matters. Yet there was to be no stunning victory for the host as the instrumental Medard set up Huget for Toulouse's fourth try, extending its unbeaten run to 12 matches in all competitions. It goes top of the table but Clermont Auvergne can move back ahead of Toulouse by winning an enticing clash with third-placed La Rochelle on Monday (AEDT). Fourth-placed Stade Francais had no difficulty in seeing off winless Perpignan 27-8, while defending champion Castres ended a three-match winless run in the league with a 16-6 defeat of struggling Grenoble. Jonathan Wisniewski starred with 20 points in Lyon's 25-14 victory at Montpellier, while Pau claimed a first league win since October, beating Bordeaux-Begles 40-23 despite forwards coach Carl Hayman being suspended after an altercation with some players this week.